The Damage is Done: The Charlie Brown-i-est. 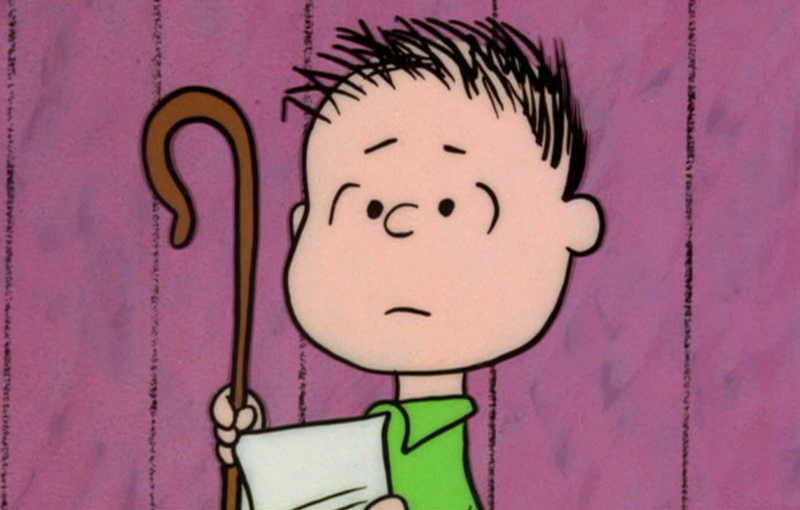 When Charlie Brown suffers from holiday season depression, he gets help. 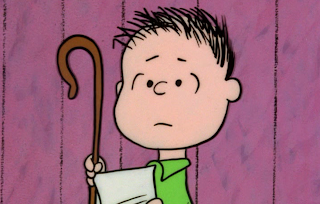 He goes to see his shrink, Lucy. But instead of recommending retreating from this world, Lucy prescribes just the opposite: “You need to get involved in some real Christmas project,” she advises. 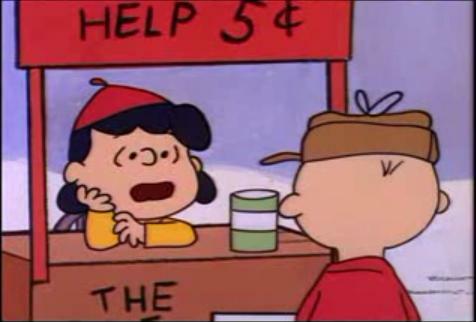 And at her encouraging, Charlie Brown agrees to direct the Christmas play, and along the way discovers the true meaning of the season. So when a pastor at my mega-church recently cornered me and asked if I’d participate in this year’s Christmas program, I relented. After all, maybe involvement would help cure my own holiday blues. Besides, my shrink won’t return my calls. A hay ride past scenes depicting the nativity. A Christ child drive-by. I admit that my acting resume is a little out of date. The most recent credits include a supporting role in my high school play, and low budget film featuring zombies and rock band. I played the drummer. But that was in 1984. Still, my pastor must have recognized untapped talent. That, or he was absolutely desperate and had nowhere else to turn. For good measure, I also volunteered my 13 year-old daughter to be cast in the roll of the Virgin Mary and drafted my 14 year-old son for the part of the angel Gabriel. He in turn has threatened to deliver his lines impersonating John Travolta’s Vinnie Barbarino Brooklyn accent. I’m sure the pastor will love it. Rehearsal is Tuesday. We open on Wednesday night. Oh my gosh Brian, you had me rolling at the type-casting comment. Not that they aren't because they TOTALLY are but you couldn't have said it in a more classic Brian-esque way. Is Julie doing the video so we can all see your family's rise to stardom? Wish I was in town! Break a leg....oh wait, you might fall off an apparatus and do that. Good luck.